OG Kush. Sour Diesel. Wax, shatter, and vapes. Marijuana has come a long way since its seedy days in the back parking lots of our culture. 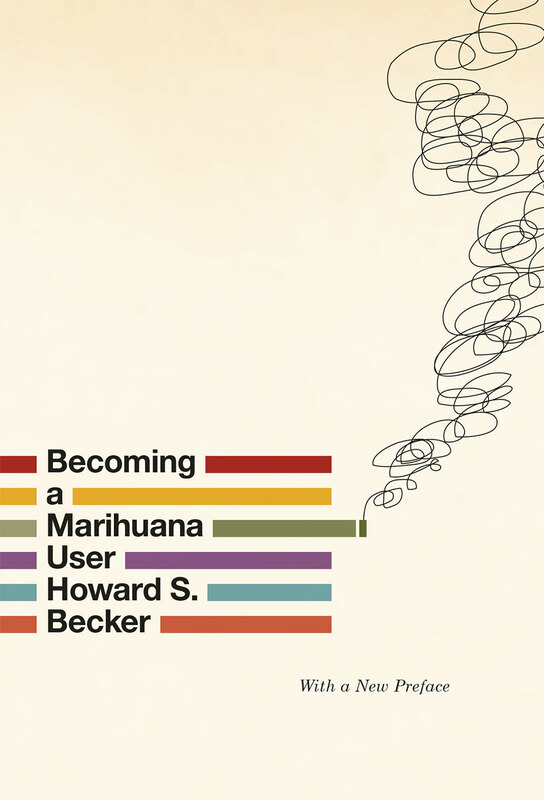 So has Howard S. Becker, the eminent sociologist, jazz musician, expert on “deviant” culture, and founding NORML board member. When he published Becoming a Marihuana User more than sixty years ago, hardly anyone paid attention—because few people smoked pot. Decades of Cheech and Chong films, Grateful Dead shows, and Cannabis Cups later, and it’s clear—marijuana isn’t just an established commodity, it’s an entire culture. And that’s just the thing—Becker totally called it: pot has everything to do with culture. It’s not a blight on culture, but a culture itself—in fact, you’ll see in this book the first use of the term “users,” rather than “abusers” or “addicts.” Come along on this short little study—now a famous timestamp in weed studies—and you will be astonished at how relevant it is to us today. Becker doesn’t judge, but neither does he holler for legalization, tell you how to grow it in a hollowed-out dresser, or anything else like that for which there are plenty of other books you can buy. Instead, he looks at marijuana with a clear sociological lens—as a substance that some people enjoy, and that some others have decided none of us should. From there he asks: so how do people decide to get high, and what kind of experience do they have as a result of being part of the marijuana world? What he discovers will bother some, especially those who proselytize the irrefutably stunning effects of the latest strain: chemistry isn’t everything—the important thing about pot is how we interact with it. We learn to be high. We learn to like it. And from there, we teach others, passing the pipe in a circle that begins to resemble a bona fide community, defined by shared norms, values, and definitions just like any other community. All throughout this book, you’ll see the intimate moments when this transformation takes place. You’ll see people doing it for the first time and those with considerable experience. You’ll see the early signs of the truths that have come to define the marijuana experience: that you probably won’t get high at first, that you have to hold the hit in, and that there are other people here who are going to smoke that, too.